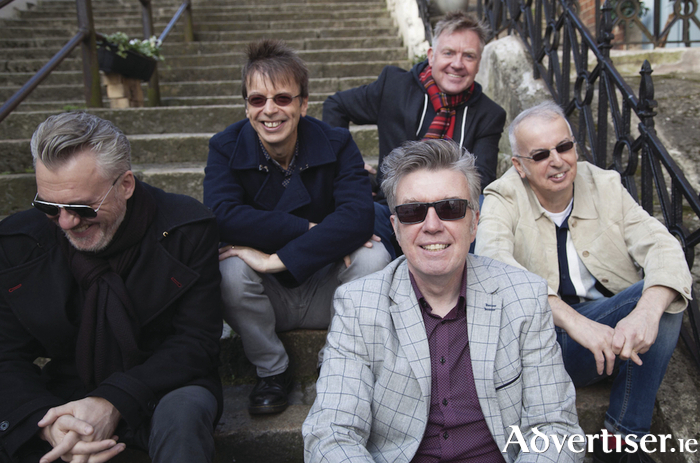 NEARLY 40 years after they announced their arrival with their classic debut single ‘Teenage Kicks’, The Undertones remain an exhilarating live act and next week sees the quintet breeze into the Roisín Dubh. An ever-present with the group from their mid-1970s formation and 1999 reunion, is bassist and songwriter Michael Bradley, and he chatted with me about the group’s heady early years and happy current incarnation. Bradley recently published Teenage Kicks - My Life As An Undertone, a wonderful memoir about the group’s first phase, which ended with their split in 1983. It vividly recalls the highs and lows of hit records, bad record deals, tour travails and thrills, life in Troubles-era Derry and encounters with other bands. It is often very funny, as in this description of meeting The Clash; "…they looked like sun-kissed gods who’d just stepped out of a Marlon Brando movie in order to meet the extras from a Public Information film about the dangers of poor nutrition and bad haircuts". Alongside Bradley, The Undertones featured chief songwriter John O’Neill, his brother Damian, Billy Doherty and singer Feargal Sharkey. From 1978 to 1983, they released four highly-praised albums and such joyously memorable singles as ‘Jimmy Jimmy’, ‘You’ve Got My Number’ and ‘My Perfect Cousin’ (co-written by Bradley and Damien O’Neill ). But in 1983, as their career stalled, the group split and remained silent for the next 16 years. The story of their reunion in 1999 owes much to The Saw Doctors and Galway Arts Festival, as Bradley reveals; “It was interesting how it came about. There is a brotherhood of drummers, they always seek each other out and always talk about drums and our drummer Billy Doherty knew Johnny Donnelly from The Saw Doctors. About 1992, when The Undertones were the furthest thing from my mind, Billy said to me ‘The Saw Doctors were wondering would you and I go on and play with them on their cover of ‘Teenage Kicks’ – and this was in The Point in Dublin. Both Get What You Need and 2007’s Dig Yourself Deep can take their place proudly in the group’s canon and saw the group re-embrace some of the simpler sounds of their early releases compared to the elaborate touches of their initial swan song The Sin Of Pride. I ask Bradley if that was a deliberate choice. Planned or not, Bradley professes himself to be happier than ever playing with the band these days. “We’ve been doing this for 16/17 years and I enjoy this much more than I enjoyed working on The Sin Of Pride," he says. "I didn’t like the whole period from 1981 to 1983. Now we’re just dipping our toe into it, we’re not doing it all the time, not under pressure from record companies expecting us to do stuff. The Undertones play the Róisín Dubh on Friday August 11 at 8pm. Support is from Tuam pop-punk band Oh Boland. Tickets are available at www.roisindubh.net, the Ticket Desk at OMG Zhivago, Shop Street, and The Róisín Dubh. Michael Bradley’s Teenage Kicks is published by Omnibus Press and is available from Charlie Byrnes.